This page describes Kubernetes' ConfigMap object and its use in Google Kubernetes Engine. ConfigMaps bind configuration files, command-line arguments, environment variables, port numbers, and other configuration artifacts to your Pods' containers and system components at runtime. 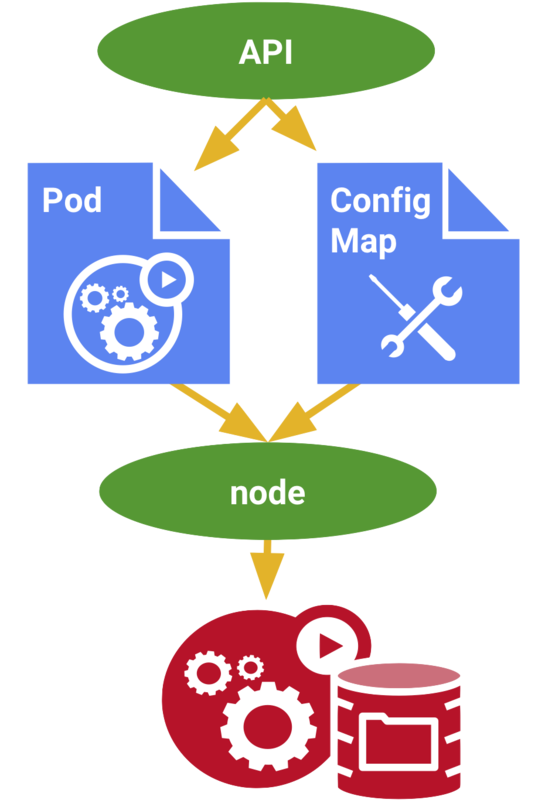 ConfigMaps allow you to separate your configurations from your Pods and components, which helps keep your workloads portable, makes their configurations easier to change and manage, and prevents hardcoding configuration data to Pod specifications. ConfigMaps are useful for storing and sharing non-sensitive, unencrypted configuration information. To use sensitive information in your clusters, you must use Secrets. For more information about kubectl create, refer to the reference documentation. You can also create a ConfigMap by defining a ConfigMap object in a YAML manifest file and deploying the object using kubectl create -f [FILE]. To create a ConfigMap from one or more files, use --from-file. You specify files in any plaintext format, such as .properties, .txt, or .env, as long as the files contain key-value pairs. When you create a ConfigMap based on files, the key defaults to the basename of the file, and the value defaults to the file's content. You can also specify an alternate key. For ConfigMaps based on directories, each file whose basename is a valid key in the directory is packaged into the ConfigMap. Non-regular files, such as symlinks, devices, and pipes, are ignored by kubectl. Subdirectories are also ignored; kubectl create configmap does not recurse into subdirectories. To create a ConfigMap from literal values, use --from-literal. You specify --from-literal for each key-value pair. To use a ConfigMap with your workloads, you can specify an environment variable that reference the ConfigMap's values, or mount a volume containing the ConfigMap. To learn about using ConfigMaps, refer to Configure a Pod to Use a ConfigMap. Read more about ConfigMaps in the Kubernetes documentation.